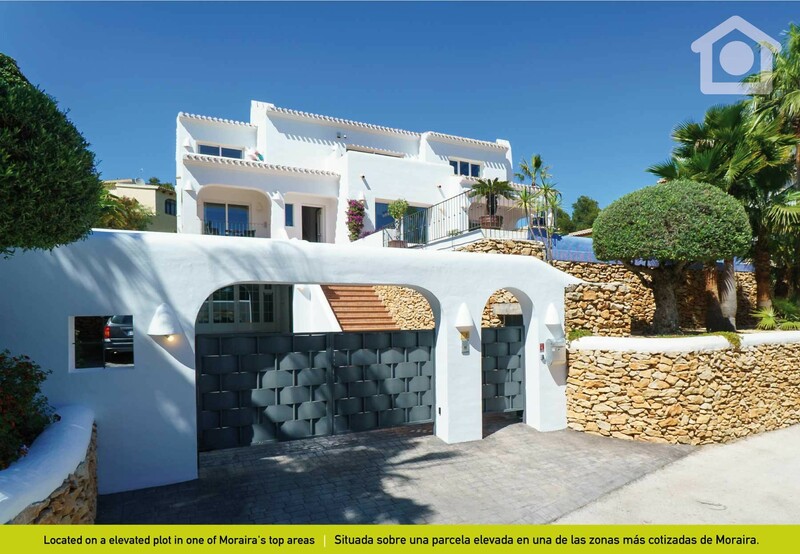 FANTASTIC VILLA IN IBIZA STYLE IN ONE OF MORAIRA'S BEST AREAS. It is not hard to see that Villa Portet Relax is an excellent option to spend a holiday with your family. 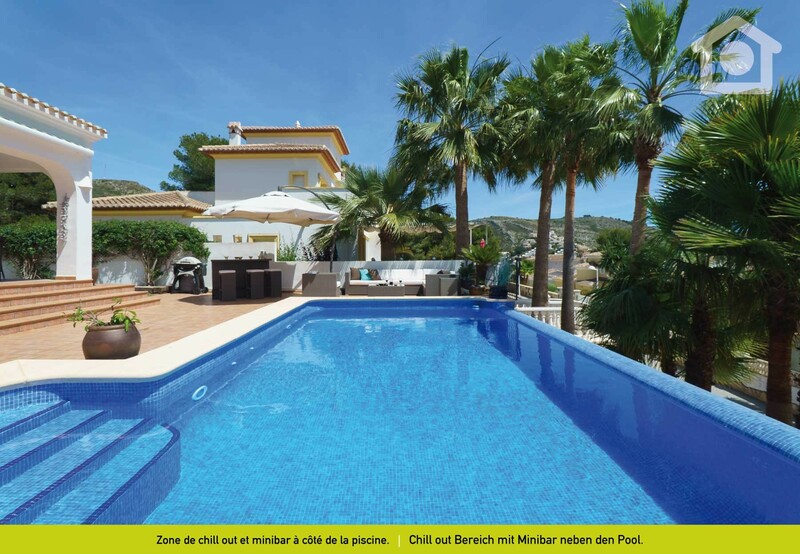 It is located on an elevated plot in the famous Portet area, with beautiful views on the sea and the cap of Moraira. 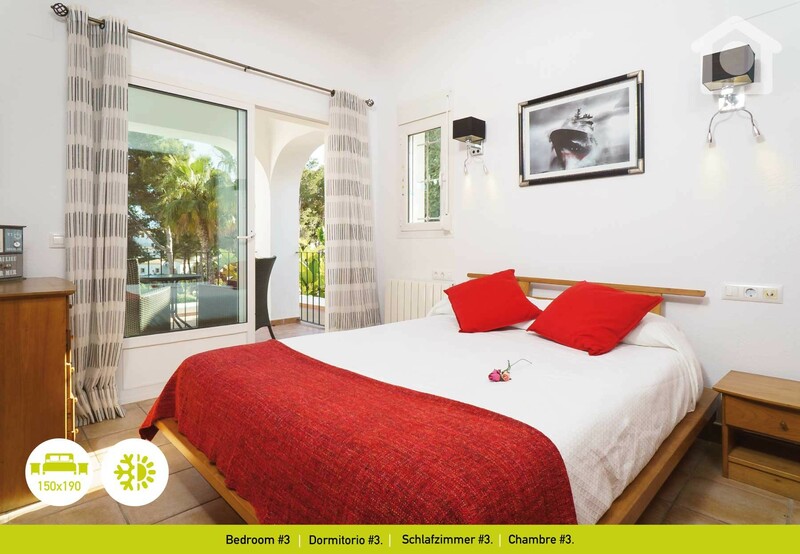 This charming holiday villa with large and luminous bedrooms can accommodate up to 8 people. It features a modern infinity pool with a chill out area, exterior bar and a barbecue as well as plenty of space for the youngest ones to play outside. This fantastic villa will make your stay an unforgettable memory. Villa Portet relax is in immaculate state and tastefully decorated. 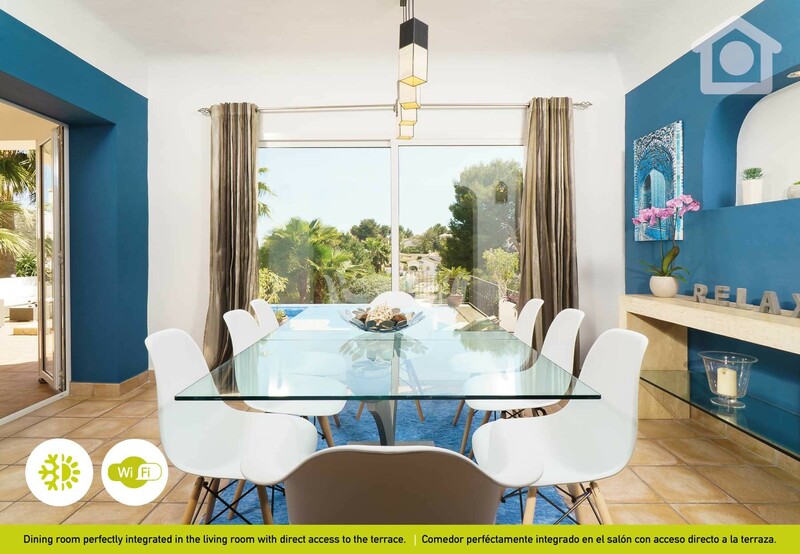 The villa is located in one of Moraira's best neighbourhoods, thus you will be able to enjoy peace and quiet throughout your stay. 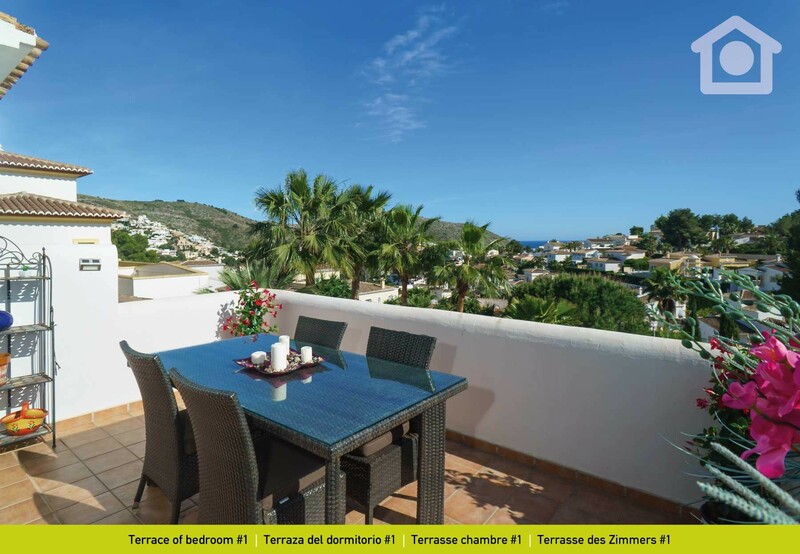 Moraira's beaches, restaurants and shops are just 900 meters away. 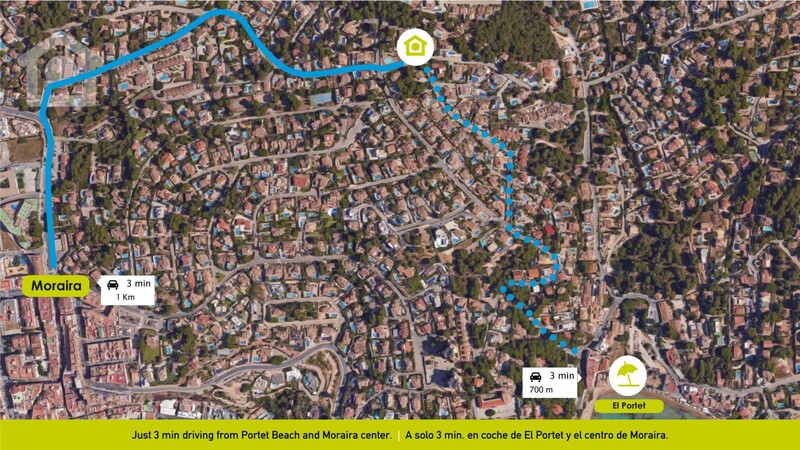 The famous El Portet playa is just 750 m away and can be reached in 10 minutes. 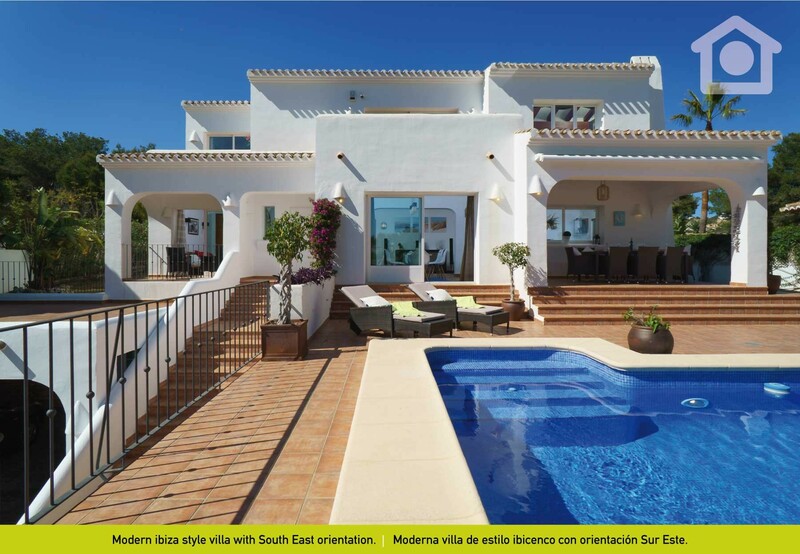 Villa Portet Relax features 4 bedrooms and 3 bathrooms (from which 2 are en suite) distributed into 2 floors. Upstairs you will find the master bedroom (bedroom #1). This bedroom is actually a large suite with a private lounge, air conditioning, terrace, a dressing and en suite bathroom with shower and bath tub (bathroom #1). It has a large and comfortable queen size bed. 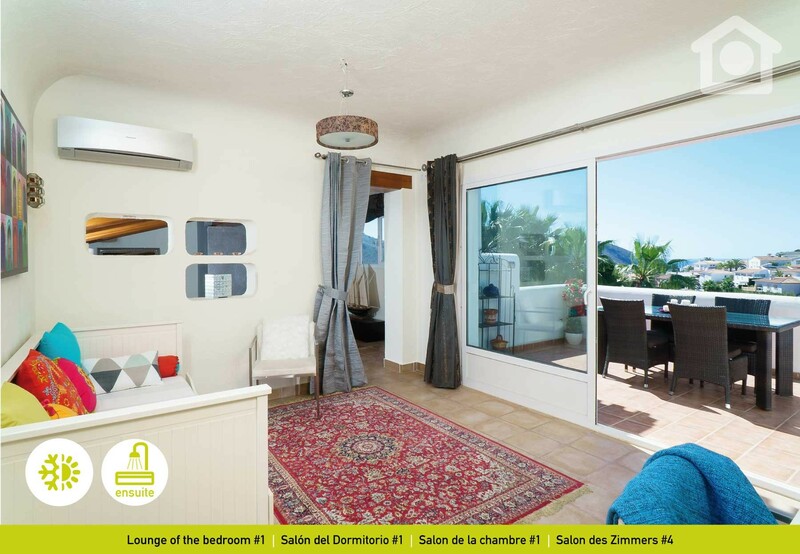 From the terrace of the bedroom you will be able to enjoy a fantastic panoramic view on the sea and the mountain. The second bedroom (bedroom #2) is also found on this floor. 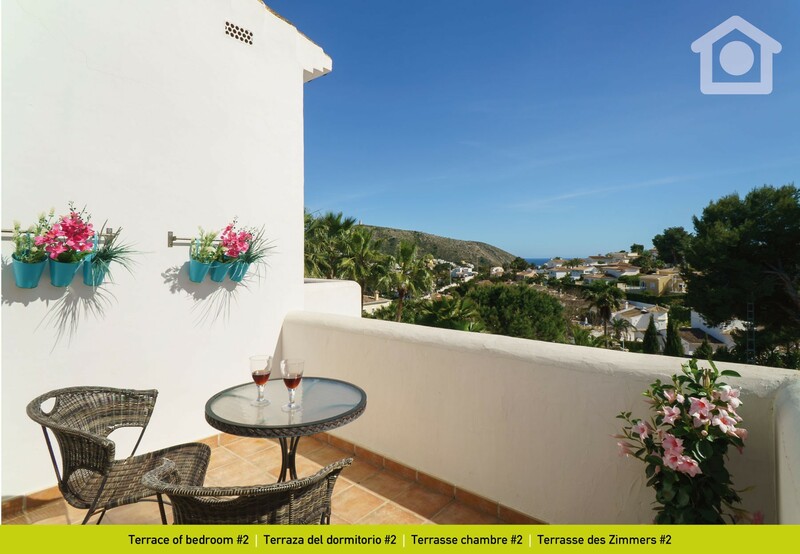 It has an en-suite bathroom (bathroom #2), double bed, air conditioning and a terrace with beautiful views (terrace #2). The downstairs part features 2 bedrooms. 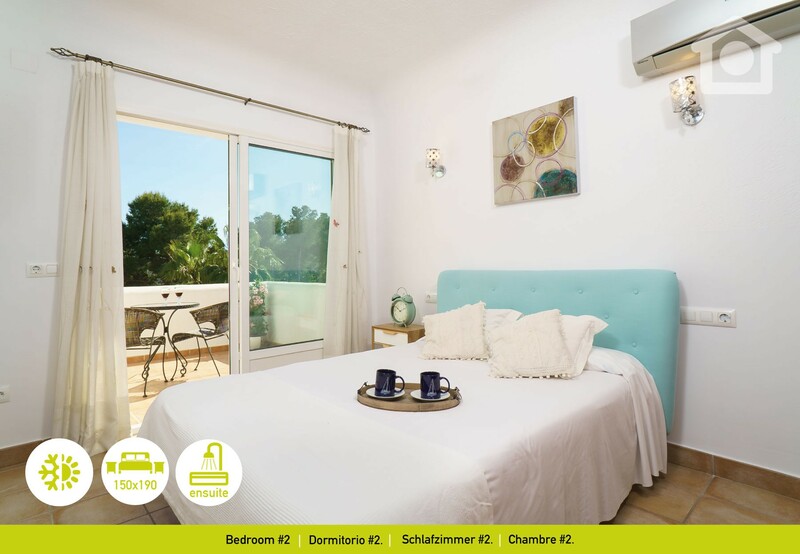 The first one (bedroom #3) enjoys a private terrace with views on the pool and air conditioning. 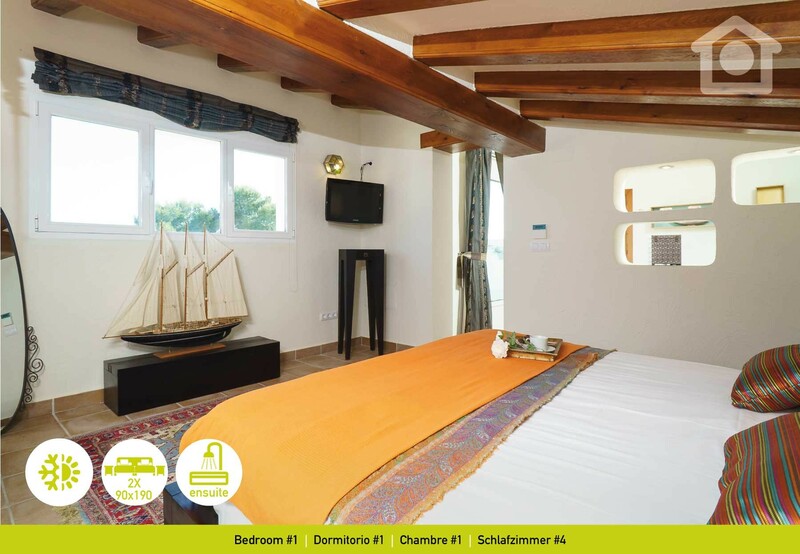 The second bedroom (bedroom #4) is equipped with two single beds and air conditioning. 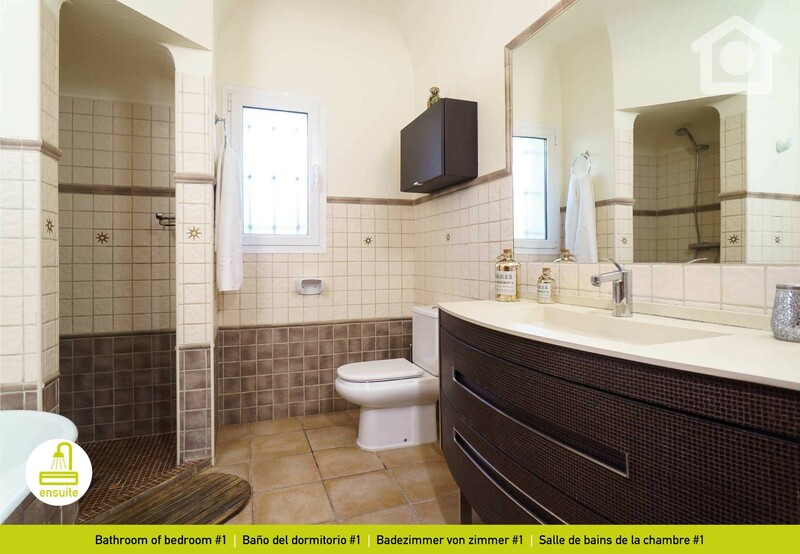 Both bedrooms share a bathroom with bathtub (bathroom #3). 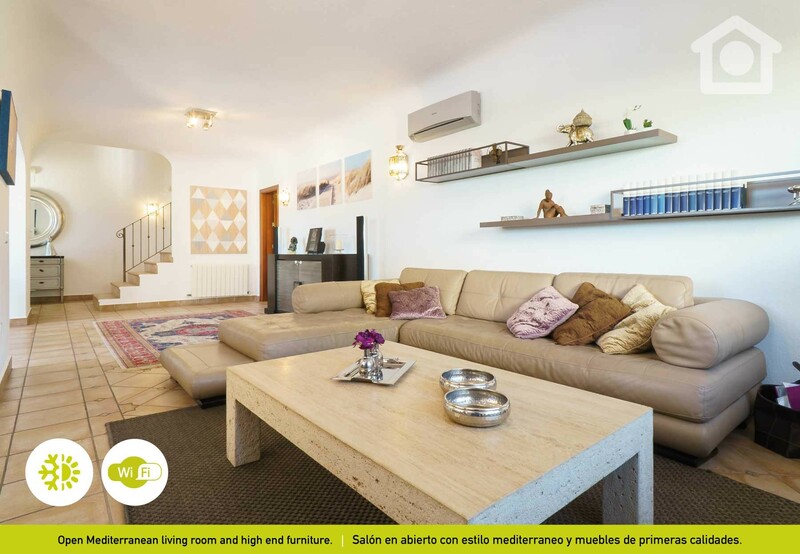 Villa Portet Relax has a large open living room flowing into a spacious dining room equipped with air conditioning. 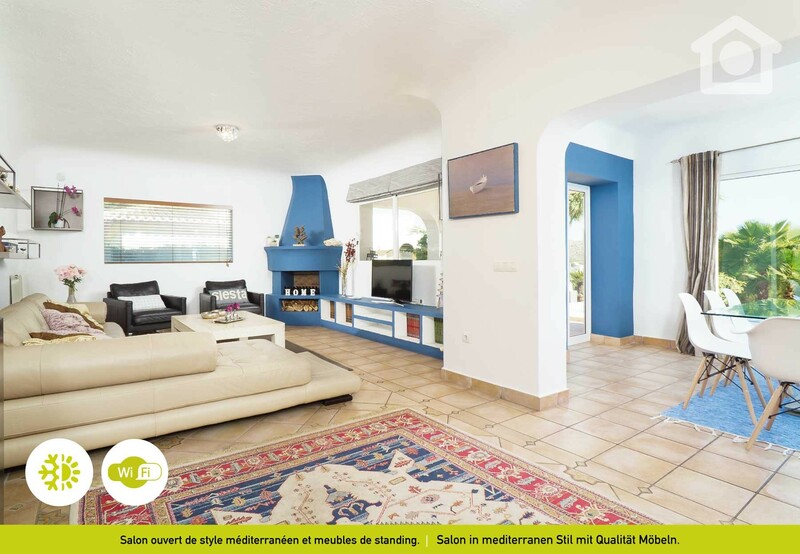 Its decoration with touches of white, blue and brown tones exudes Mediterranean spirit. The high quality furniture is of modern style and in impeccable state. The large and luminous kitchen is separated from the living area. 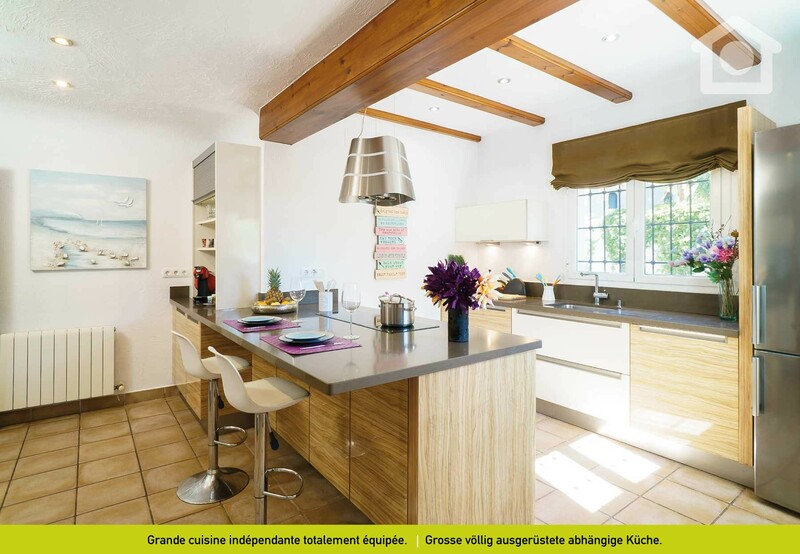 You will like its modern style, the functional distribution of its furniture and the size of its counter-tops. 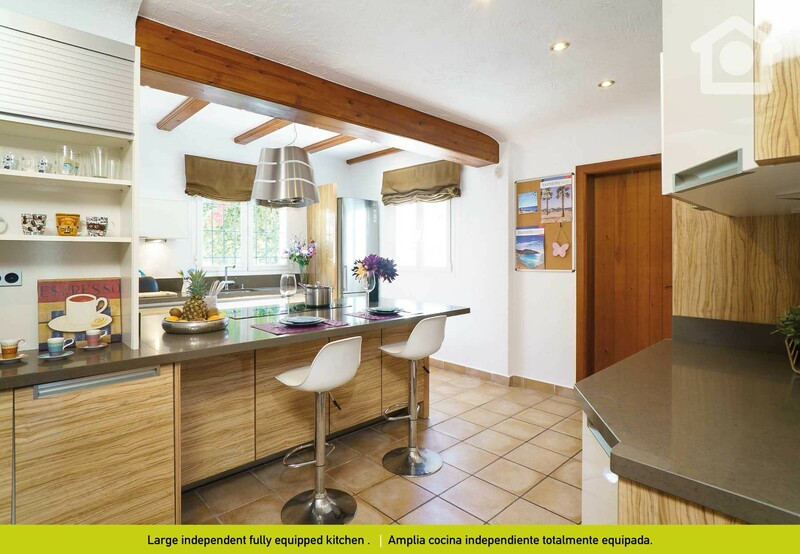 The hob is integrated to the isle which will make moving around in the kitchen very easy. Next to the kitchen you will find the laundry room with pantry. 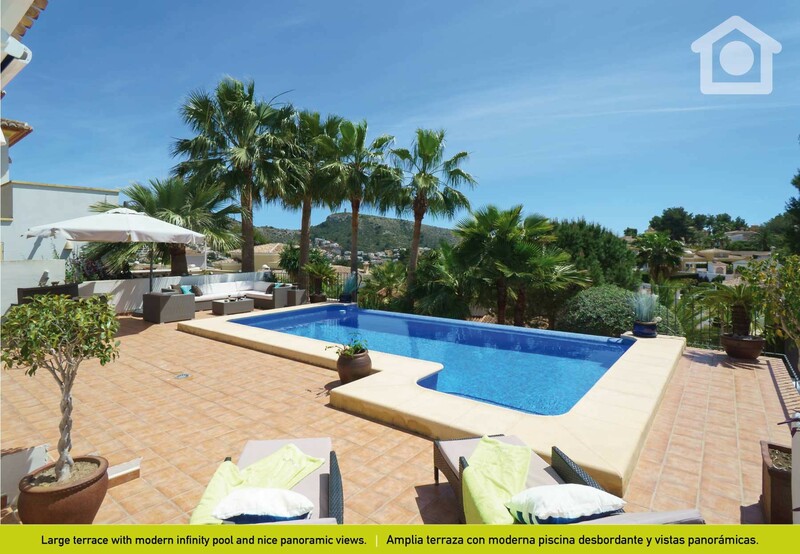 One of Villa´s Portet Relax most enjoyable area, is surely its large terrace with pool located on the front of the house. Its ideal south-east orientation will enable you to enjoy the sun throughout almost the entire day. The outside covered dining area will be the ideal setting to share a meal with your loved ones. You will be able to prepare meals on the barbecue and enjoy cocktails at the exterior bar. You will relax next to the infinity pool in a comfy chill-out area while the little ones enjoy a refreshing bath. Last but not least this holiday villa has parking space for 4 cars. What more could you ask ? DON'T WAIT AND BOOK NOW YOUR VACATION IN THIS FANTASTIC HOLIDAY VILLA. YOU WON'T REGRET IT ! 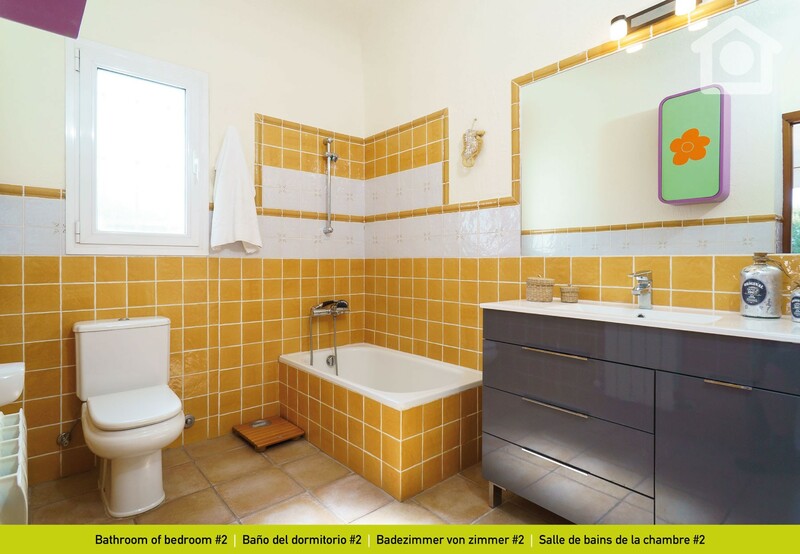 2 Bathrooms with bathtub, 1 Bathroom with shower. 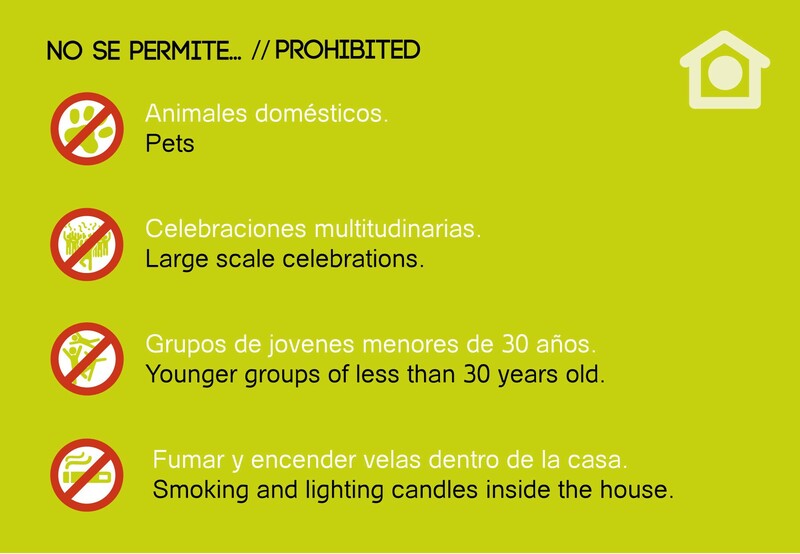 1 TV, garden, garden furniture, fenced garden, terrace, barbecue, fireplace, internet (Wi-Fi), childrens area, air conditioning throughout the house, private swimming pool, Open-air parking (2 places) in the same building. Great staff at the office. Couldn´t have been more polite & helpfull. Thank you all!